I jokingly took exception to the first part with my friend, saying that as I got older, I found the ability to correlate increasingly useful. My mind has always worked in a “sparkly” serendipitous fashion, seeing correlations everywhere and zipping off to investigate them, usually to the detriment of my focus. But this strange ability gives me a particular facility with research and seems to be one I share with many writers, particularly writers of science fiction and fantasy. And it has showed me, time and again, that even the diverse notions can often have a common thread, which we ignore at our peril. Shortly thereafter, I put away the computer, and settled down to a more relaxed and old-fashioned method humanity developed to share ideas- reading a book. 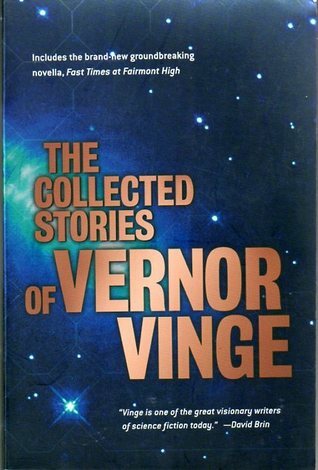 Tonight’s read was The Collected Stories of Vernor Vinge. Some of the stories in this collection date back to the early sixties, and the age of these stories provide the reader with an interesting perspective, given the many changes in the world since then. The collection, however, was published in 2001, and includes a new novella, Fast Times at Fairmont High (which I later found only mildly interesting- more on that in a forthcoming essay). My own novel in progress has a young teen as a protagonist, thrown into a strange home with an even stranger grandparent, and he must rise to a desperate challenge. Vinge’s “Gemstone” has almost the same premise! In 1957, Sanda, a girl of 13, is spending her summer with her wealthy, dotty old grandmother. The grandmother lives in a sprawling Queen Anne “gingerbread” house in Eureka, California, and shortly after she arrives, Sanda discovers her dream vacation isn’t to be as wonderful as she’d hoped. For one, her grandma’s severity and rigid ideas (she’s a queen of OCD, this one) puts a damper on the pair’s relationship… but even worse, there’s an unseen presence haunting the upper floors of the house! It only seems to come out at night, leading Sanda to believe it may be a ghost, possibly the ghost of her deceased grandfather. Every evening, the girl is troubled by a dark foreboding of cold, endless cold, shadows and stillness- and terrible loneliness. Echoes of her grandfather Rex’s expedition to Antarctica seem to be “broadcast” nightly. Sanda is driven to sleep lightly on the balcony, as far from the presence as she can get without alerting her grandmother. She’s certain the old woman will dismiss her perceptions as the foolish fears of a child. During those restless evenings on the balcony, she notices strangers in a white car watching the house on several occasions, always at night. The plot deepens! One night, a man surreptitiously prowls from the car to the house’s electric meter, then back to his Ford and drives away. Sanda’s fear grows, especially after she notices rocks and plastic flowers in her grandmother’s odd terrarium upstairs have moved about- overnight. Her dread is palpable, and lends the story its most credible note. This is how I want my own novel to progress- as if the reader were walking alongside the protagonist, feeling the same fears and worries as he. This story is my novel’s first part in embryo. Talk about correlation! But as in any really good science fiction, what seems supernatural is not always so. The craft of writing this very modern form of fantasy is difficult, but highly rewarding, to both writer and reader, when done well, as Vinge manages in “Gemstone.” The best of SF plays with our expectations, and even in a short story of only 22 pages, Vinge is able to keep his readers delightedly guessing. 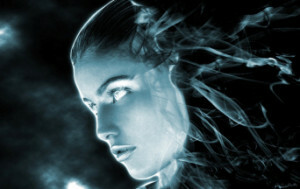 What seems a fearful specter is neither a spirit nor a monster, but more of a friendly pet. While Grandma increasingly seems a mad harridan, once her secret is discovered, she is willing to risk everything for love. And as is often the case, the true villain is man himself, not the alien, nor the irrational, but the ignorant and the greedy. Vinge has outdone himself here. “Gemstone” is a highly recommended short read. I will avoid the obvious clichés in describing it here. (“It sparkles!” “It’s quite a gem of a story!” Your groans are appreciated.) I will also keep the rest of the plot to myself, hoping to encourage someone to read Gemstone! In Vinge’s introduction, he refers to the story as the most unbalanced thing he’s ever written, but I quite disagree. Every element seems perfectly aligned. Keith Phillips – An inveterate jack of all trades, Keith has been hoping to become a published writer for about 3 decades now. Some of his previous careers have included photographer, plumber, groundskeeper, forklift driver and bookstore manager. He has also “worked” for 10 years in the LARP field. Despite many predications that Americans will finally become huge soccer fans, that reality hasn’t happened just yet. But, many Americans do get excited every four years for the World Cup. What are the best soccer books? Here are 6 soccer books to keep you reading during the World Cup and beyond. If you have a favorite Soccer book that we didn’t include, let us know in the comments below. 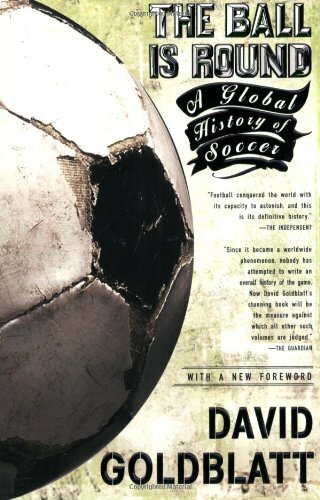 This massive tome (992 pages in hardcover) is the definitive history of soccer. In this extraordinary tour de force, David Goldblatt tells the full story of soccer’s rise from chaotic folk ritual to the world’s most popular sport-now poised to fully establish itself in the USA. Already celebrated internationally, The Ball Is Round illuminates soccer’s role in the political and social histories of modern societies, but never loses sight of the beauty, joy, and excitement of the game itself. The Complete Book of the World Cup is the most comprehensive history ever written about the quest for world sport’s most coveted trophy. First published in 1998, this is the first time Cris Freddi’s masterpiece has been made available as an ebook. It describes every major action in the World Cup finals, on and off the pitch, from the first tournament in 1930 through to Spain’s victory in 2010. An ideal companion for the 2014 tournament in Brazil. Written in his sharp and uncompromising style, it includes match reports, line-ups, goalscorers, attendances, and much more for every game ever played in the World Cup finals. Freddi’s research is meticulous. 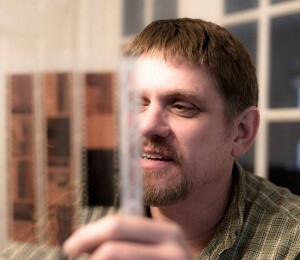 He has closely studied film and television footage and has scoured the world for previously untapped primary sources to separate fact from fiction. Freddi tells the story as he sees it. This is not an official history and he is not afraid to voice his opinion. Most people bow to FIFA’s decision to credit Ronaldo with 15 goals in the finals. But Freddi points to Brazil’s opening goal against Costa Rica in the 2002 finals, where the video evidence clearly shows it to be an own goal. So Freddi lists Ronaldo only as the joint all-time leading scorer in the finals alongside Miroslav Klose and Gerd Muller. He also deprives Rio Ferdinand of his first goal for England! 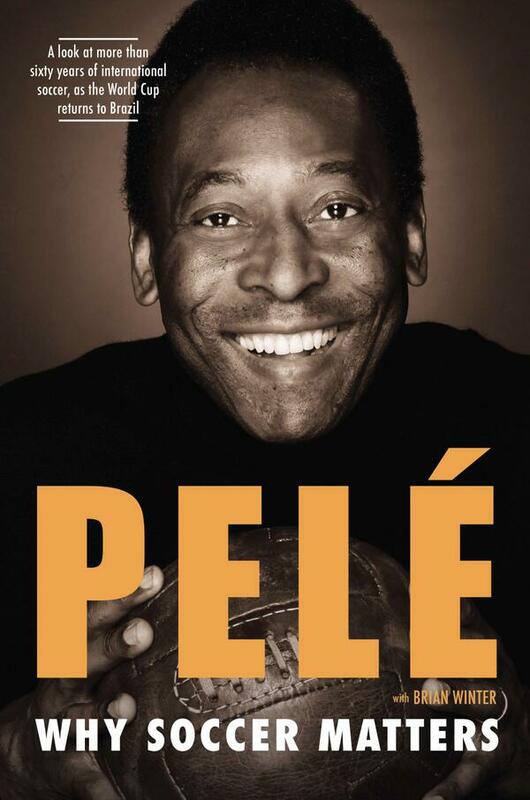 Before Messi, before Ronaldo, before Beckham, there was Edson Arantes do Nascimento—known simply as Pelé. A national treasure, he created pure magic with his accomplishments on the field: an unprecedented three World Cup championships and the all-time scoring record, with 1,283 goals in his twenty year career. As the riotous, edge-of-your-seat season unfolds, McGinniss develops a deepening bond with the team, their village and its people, and their country. 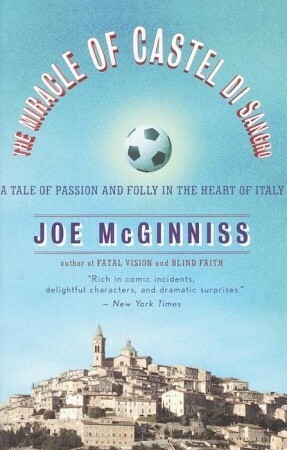 Traveling with the miracle team, from the isolated mountain region where Castel di Sangro is located to gritty towns as well as grand cities, McGinniss introduces us to an Italy that no tourist guidebook has ever described, and comes away with a “sad, funny, desolating, and inspiring story–everything, in fact, a story should be” (Los Angeles Times). Blending witty travelogue with action on the field—and shady dealings in back rooms—George Vecsey offers an eye-opening, globe-trotting account of the last eight World Cups. He immerses himself in the great national leagues, historic clubs, and devoted fans and provides his up-close impressions of charismatic stars like Sócrates, Maradona, Baggio, and Zidane, while also chronicling the rise of the U.S. men’s and women’s teams. Vecsey shows how each host nation has made the World Cup its own, from the all-night street parties in Spain in 1982 to the roar of vuvuzelas in South Africa in 2010, as the game in the stadium is backed up by the game in the street. But the joy is sometimes undermined by those who style themselves the game’s protectors. With his characteristic sharp reporting and eye for detail, Vecsey brings this global event to vivid life and has written a perfect companion for the upcoming 2014 World Cup in Brazil. Nick Hornby has been a soccer fan since the moment he was conceived. Fever Pitch is his tribute to a lifelong obsession. Part autobiography, part comedy, part incisive analysis of insanity, Hornby’s award-winning memoir captures the fever pitch of fandom—its agony and ecstasy, its community, its defining role in thousands of young men’s coming of age stories. Fever Pitch is one for the home team. But above all, it is one for everyone who knows what it really means to have a losing season. Speculate! describes itself as “the speculative fiction podcast for readers, writers, and fans.” With 106 episodes as of this writing (June 10, 2014), co-hosts Gregory Wilson and Bradley P. Beaulieu have built a dedicated listenership. The Speculate! co-hosts are currently working to raise $3,000 via Kickstarter to continue interviewing many of the top speculative fiction writers working today. I encourage you to check out Speculate! if you’ve never listened to the podcast before, and yes, I strongly encourage you to help out their Kickstarter campaign – every single dollar counts even if you can only afford to kick in a couple of bucks. So who are Wilson and Beaulieu? Gregory A. Wilson is currently an Associate Professor of English at St. John’s University in New York City, where he teaches creative writing, fantasy and science fiction along with various other courses in literature. His first academic book was published by Clemson University Press in 2007; on the creative side, he has won an award for a national playwriting contest, and his first novel, a work of fantasy entitled The Third Sign, was published by Gale Cengage in 2009. He is a regular panelist at conferences across the country and is a member of Codex, the Writers’ Symposium, the Origins Library,Backspace, and several other author groups on and offline. He is currently in the process of submitting his third novel, Grayshade, to publishers, and has recent short stories out in anthologies like Time Traveled Tales, alongside authors like Mike Stackpole and Timothy Zahn, and the critically acclaimed When The Villain Comes Home, edited by Ed Greenwood and Gabrielle Harbowy. Bradley P. Beaulieu is the author of The Winds of Khalakovo, the first of three planned books in The Lays of Anuskayaseries, published by Night Shade Books. In addition to being an L. Ron Hubbard Writers of the Future Award winner, Brad’s stories have appeared in various other publications, including Realms of Fantasy Magazine, Orson Scott Card’s Intergalactic Medicine Show, Writers of the Future 20, and several anthologies from DAW Books. His story, “In the Eyes of the Empress’s Cat,” was voted a Notable Story of 2006 in the Million Writers Award. Brad lives in Racine, WI with his wife and two children. He is a software engineer by day, wrangling code into something resembling usefulness. 1. Please describe Speculate for someone who hasn’t listened to the podcast before. Speculate is a genre fiction podcast that highlights authors and books by providing interviews, reviews, and writing technique, but we do so in such a way that we “deep dive” into the books we choose. How do we do that? Well, our typical format is to group shows into “triptychs”, a set of three episodes in which we choose a book, read and review it in a reader response show, follow up with an interview episode, and complete the run with a show that digs into the writing technique used in the book. It’s a fun way for readers and fans and burgeoning writers to get something different out of the same book, but we’ve found that many people like listening to all three episodes, because they get something different out of each. We also have one-off interviews with guests, who can be writers, artists, editors, and even fellow podcasters. 2. What prompted you to launch Speculate? As writers do at conventions, Greg and I were sitting down to dinner at World Fantasy in 2009 and we got to chatting about what we’d read recently, and we stumbled upon Kij Johnson’s powerful short story, “Spar”, a story we’d both read but held differing points of view about it. It was a lively but fun discussion. Later, after the convention, Greg pinged me and asked if I’d be interested in teaming up with him to form the show. It didn’t take too long to decide to do just that. I was nervous, I’ll admit, as I hadn’t done anything like that in the past, but it seemed like a great opportunity to read some great fiction, to network with other authors, and to talk about the stuff we both love: science fiction and fantasy. I’m really glad Greg asked and that I decided to join him, as it’s been a really wonderful ride so far. We’re looking to a ton more episodes in the future. 3. You recently reached your 100th episode. How did reaching that milestone feel? Triple digits was something we’d been looking forward to for a long while. It feels like a real accomplishment in the podcasting space, so I certainly felt rewarded, but also pleased, because Greg and I take pride in the product we put out, and we’re both very pleased with the material that’s come out in our 100 episodes. That doesn’t mean we didn’t have some things to learn. We did, and we still do, but that’s part of the fun, learning new things even while we’re sharing what we love. 4. Do you listen to other podcasts? 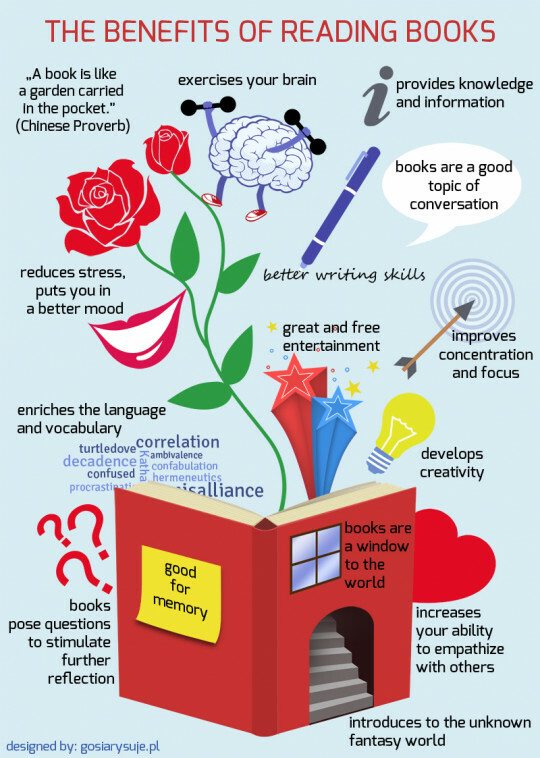 What other podcasts do you listen to – book-related or otherwise? I don’t find time for a lot of them, but I do occasionally listen to the SFSignal podcast, Functional Nerds, Writing Excuses, and now Rocket Talk over at Tor.com. 5. I know it’s tough to pick favorites, but what 3 episodes of Speculate would you recommend for someone who has never listened to the podcast before? Episode 6 – Our Kij Johnson interview as part of a triptych we did on her and her work. This one is interesting since, as I mentioned above, Greg and I started the show based on a discussion of Kij’s “Spar”. Episode 70 – The interview with Robin Hobb/Megan Lindholm as part of her triptych. Robin is a master craftsman, and it was frankly engrossing to talk to her about her two (quite different) writing selves. Episode 66 and Episode 67, Parts 1 and 2 of our interview with Peter V. Brett and Myke Cole. Both Peter and Myke gave some fascinating and very personal answers to our questions in this show. Well worth the listen. 6. Is there a dream guest/author that you’d like to interview that you haven’t interviewed yet? Three words: Neal. Freaking. Gaiman.